In collaboration with the International Nursing Association for Clinical Simulation and Learning (INACSL) and the Society for Simulation in Healthcare (SSH), ASPE is pleased to announce plans for co-hosting the 2019 Women in Leadership Symposium on April 6, 2019, at the University of Texas Southwestern Medical Center in Dallas, Texas, USA. The Women in Leadership Symposium is a one-day gathering for aspiring, new and experienced leaders in healthcare simulation. Hosted by the Society for Simulation in Healthcare (SSH) and Association of Standardized Patient Educators’ (ASPE), and International Nursing Association for Clinical Simulation and Learning (INACSL), this exciting new symposium will be an interactive day of personal and professional development featuring renowned speakers, vigorous discussion, and relationship-building. The Women in Leadership planning committee is looking forward to welcoming you at the 2nd annual symposium. Whether you are an alum, a new attendee, a simulationist of any gender, an experienced leader or an aspiring one, this full day symposium is an opportunity to learn, practice and share skills important for any leader. Connect and collaborate with conference faculty, facilitators and attendees to continue the conversation. To keep the cost of the conference affordable, food and beverage expenses for this event are on your own. We hope you will be able to join us! The UT Southwestern Simulation Center is located inside of the West Campus Building #3. The Simulation Center is on floors 2 and 3 of this building and there is a conference room located on the 9th floor of this building that is being used for part of the event. In support of improving patient care, the Society for Simulation in Healthcare is jointly accredited by the Accreditation Council for Continuing Medical Education (ACCME), the Accreditation Council for Pharmacy Education (ACPE), and the American Nurses Credentialing Center (ANCC), to provide continuing education for the healthcare team. This activity was planned by and for the healthcare team, and learners will receive a maximum of 6.5 Interprofessional Continuing Education (IPCE) credits for learning and change. Major General (Retired) Kimberly A. Siniscalchi is Vice President for Strategic Initiatives at UT Southwestern Medical Center, Dallas, Texas. She is also UT Southwestern’s Chief Integration Officer for Southwestern Health Resources. Kimberly Siniscalchi is well known for her outstanding innovation and dedication in bringing healthcare to our Nation’s Armed Forces. Her career spans over 34 years of active duty service in the military healthcare system. Prior to joining UT Southwestern, she was the Air Force Assistant Surgeon General, Medical Force Development and Nursing Services, Office of the Surgeon General, Washington, D.C., In this position, she was responsible for personnel policy, programs, staffing requirements, and education and training for 45,000 military and civilian personnel, and she led Air Force Nursing for 19,000 Active Duty, Reserve and Air National Guard nursing personnel, supporting 2.6 million beneficiaries globally. She has served multiple command tours, which included leading an Expeditionary Medical Group supporting the global war on terrorism. Among other career highlights, she was assigned to the White House serving both Presidents George H.W. Bush and William J. Clinton. She received a Bachelor of Science in Nursing at Duquesne University, a Master of Science in Nursing at University of Nebraska Medical Center, and is currently a doctoral student at Duke University. She is a graduate of the Air War College and the Air Force School of Aerospace Medicine. She is a Fellow of the American Academy of Nursing. She served on many Boards, the White House Task Force for Veterans, and as the Department of Defense’s clinical lead for Interagency Care Coordination for wounded service members. Recent honors include the American Medical Association's Dr. Nathan Davis Award for Outstanding Government Service, an Honorary Doctorate of Science from the University of Nebraska Medical Center and induction into their Hall of Fame. Jennifer Arnold, MD, MSc, FAAP is currently an attending neonatologist and Medical Director of the Simulation Center at Johns Hopkins All Children’s Hospital. She is an experienced neonatologist, medical educator, healthcare advocate and simulation researcher with a passion for delivering high quality patient care through innovation, technology and effective debriefing. Dr. Arnold has been involved in simulation education, patient safety, and research endeavors for the last 10 years. She was a NIH postdoctoral scholar at the University of Pittsburgh School of Medicine’s Safar Center for Resuscitative Medicine from July 2006-July 2007. She has been funded for her simulation educational research through the Laerdal Foundation for Acute Medicine, Cullen Trust for Healthcare, Texas Children’s Hospital Educational Grants, and MD Anderson Foundation. Currently, her areas of interest within simulation include use of simulation for evaluating new clinical spaces, team training, improving quality and patient safety, improving home care and skills for primary caregivers of medically complex children, and developing educational curricula for various departments throughout the hospital. 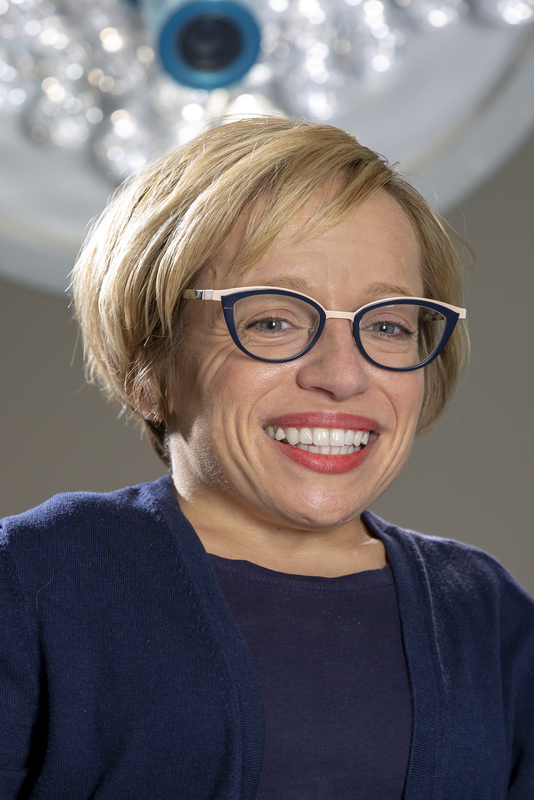 Dr. Arnold has a rare type of dwarfism called Spondyloepiphyseal Dysplasia Type Strudwick (which involved more than 30 orthopedic surgeries). She is a 4 year cancer survivor. Dr. Arnold and her husband Bill (and their children Will and Zoey) are featured on TLC's docudrama, The Little Couple, which follows their personal and professional lives and is now in its 10th season! She has also appeared on television programs including Oprah, The Today Show, GMA, Dr. OZ, The Doctors, Wendy Williams, Anderson Cooper and CNN among others. Breakfast, beverage breaks, lunch, and snacks will be provided. A headquarters hotel has not been secured for this event. If lodging is needed, attendees are encouraged to find lodging near the UT Southwestern Simulation Center, located at 2001 Inwood Road, Dallas, Texas. An on-site parking garage is attached to the Simulation Center building at the Inwood Road entrance. Parking is $3 per day. Parking tickets will be printed at the gate and can be paid at the parking validation machine on the first floor. Attendees can also easily use Uber, Lyft, or Dallas taxi carriers for transportation to the Simulation Center.